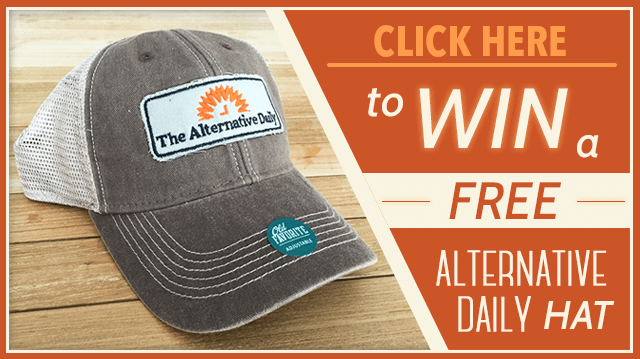 Listen to this week’s podcast to get your very own Alternative Daily hat! We only have 50 available, so be sure to listen how to win! Jake and Megan discuss how the Mainstream Media outlets are skewed by advertisers and how they actually lie to their audiences. There are definite alternatives out there that actually provide better info than the major cable network news. Last week we asked people what supplements they take and our very scientific poll shows that most people take Vitamin D3, Magnesium and CoQ10. Jake discusses the recent supplement he tried over the weekend and how he had immediate results. Pets definitely need our attention when it comes to their health and this week Jake had to take his 2 dogs Lucy and Brody to the vet and shares their findings. We announce 4 winners for our YETI Cooler giveaway. Does $2.3 billion make people happy? Jake & Megan share their thoughts on the creator of Minecraft and his recent thoughts he has shared on social media. Hey Buddy!, I found this information for you: "Podcast Episode #12: Digestive Enzymes, Mainstream Media Lies, Pet Health & Free Hats". Here is the website link: https://www.thealternativedaily.com/podcast-episode-12-digestive-enzymes-mainstream-media-lies-pet-health-free-hats/. Thank you.